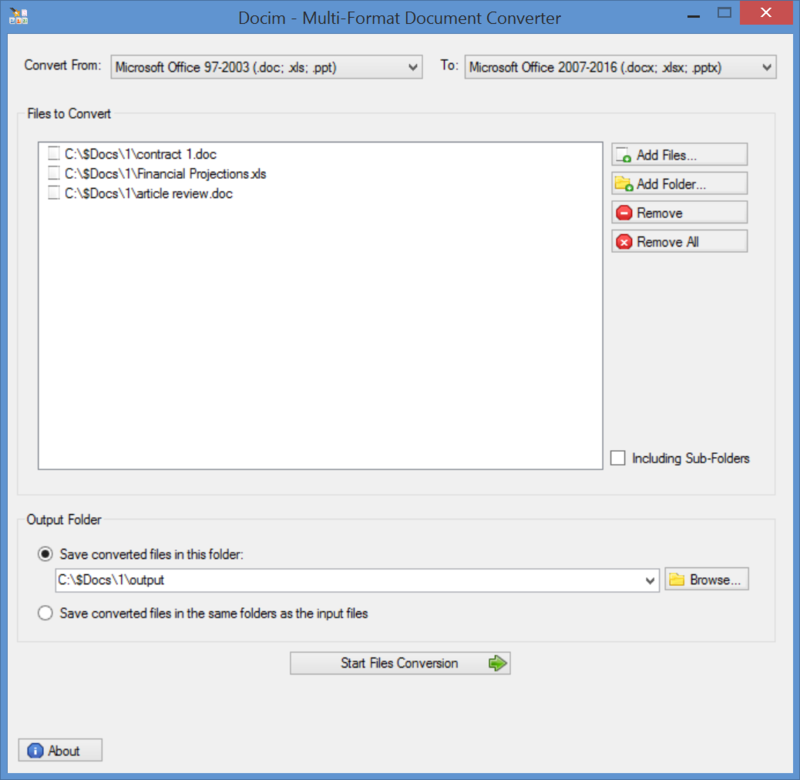 Docim™ is an easy-to-use tool to convert multiple documents from one format to another in batch. Docim™ can convert to and from Microsoft Office® 97-2003 (Word, Excel, PowerPoint), Microsoft Office® 2007-2019, and OpenOffice™ documents. Docim™ can also convert any of the above document types to PDF.